Lisbon is rapidly becoming popular among investors from all around the globe, and, for a good reason. Experts at Tranio have selected the top-5 reasons for this. Today, one can safely assume that there is a new trend in the foreign property market among investors, and it’s centred around Lisbon, the capital of Portugal. Stable political and social environment, modern education system, low crime rates, high living standards, strengthening of the Portuguese economy, these are just a few factors that make this possible. More important however are the programmes aiming to attract foreign investors in conjunction with the measures contributing to the actual development of Lisbon, that have already yielded results. According to PwC analysts, Lisbon will top the ranking of investment-attractive cities in 2019. Let us break down why this is likely to be the case. The Portuguese economy has been developing steadily. According to PwC, country’s GDP had grown 2.4% by Q4 2017. Experts anticipated GDP to rise by 2.1% in 2018 and then by 1.7% in 2019. The Unemployment rate has been declining significantly: 10.1% in January 2017 and as little as 7.9% one year later in 2018. In 2017, the Portuguese Federation of Construction and Public Works Industry (FEPICOP) observed an overall production increase of 5.9% within the construction segment, which finally allowed the country to cope with the recession that had lasted for the past 19 years, reaching 52%. Now, the construction volumes in Lisbon are growing at the highest rate in the country. Thanks to the implementation of a government programme (Instrumento Financeiro para a Reabilitação e Revitalização) IFRRU 2020, aimed at the city’s rehabilitation and revival, most construction projects (about 80%) are targeted towards the restoration of buildings. According to the Programa Operacional Regional de Lisboa 2020, an innovative large-scale “ecosystem”, that must have a positive influence on the growth in the city population and the number of jobs, is to be created in Lisbon. The programme regulates the matters of energy efficiency, decrepit buildings and undeveloped areas, rehabilitation and optimisation of interactions between all urban services and systems. Projects included in the plan require €307m in investment. Lisbon (along with London, Milan, Warsaw and several other cities) has joined the European Sharing Cities network. The centre of the Portuguese capital has become a “laboratory” for testing new technologies, aimed at bringing the standards of living in the city to a new level. The 10 km2district with the population of 100,000 residents includes the main historical and touristy streets of the city. 540 electric vehicle charging stations and 64,000 smart street lamps were installed and a sustainable energy management system (SEMS) was introduced to integrate and optimise electrical energy flows. Lisbon also encourages switching to renewable energy sources, including solar. The Portuguese Prime Minister António da Costa in his interview to Forbes spoke about an intention to turn Lisbon into the world’s business capital. In 2016–2018, the European largest technological and medical conferences, meetings, congresses and web summits were held there. The International Congress and Convention Association (ICCA) recognised Lisbon as one of the most popular cities for holding events due to the excellent infrastructure, accessibility and the advantageous price-quality ratio of hotels and services offered to the event participants. Thanks to investing in engineering education and digital infrastructure, an independent “ecosystem” of innovative technologies and startup support began to form in Lisbon. Local technological startups (Aptoide, Mellow, Talkdesk, Codacy, Unbabel, etc.) are operating successfully, and Startup Lisboa, Labs Lisboa, Inovisa and Tec Labs business incubators are up and running. Figures speak volumes: according to the Confidencial Imobiliário, in 2017-2018, the residential property price growth amounted to 23%. The average residential price growth in Portugal was 12%, while Lisbon’s average residential price growth was 21,5%. Another important figure coming from the National Statistical Institute of Portugal (INE) is that the number of Residential sales grew 19% in Portugal and by 22% in Lisbon for the period of Q1-Q3 2017-2018. Increasing demand for real estate and a general economic upturn in the country favours that. Many international corporations aiming at expansion have turned their attention to Portugal. Moreover, certain investors admit moving capital there from the seemingly “unstable” Catalonia. The state policy aimed at supporting startups, including the foreign ones, attracts young entrepreneurs seeking accommodation in the capital. Over the last 4 to 5 years, property prices in the most popular central historical districts of Lisbon have risen exceedingly (by up to 60%). Certain properties are available on the market at prices comparable to Paris. A piece of researchby The Royal Institution of Chartered Surveyors (RICS) has revealed that the property price growth will continue in the next five years, amounting to around 5.5% per annum. Attracting foreign investment to the country became one of the top priorities for the Portuguese government. Since 2012, there is a programme in place that provides foreign investors with anopportunity to receive a residence permit via investment, including that in property. The condition on which the Golden Visa is given is if a property is worth more than €500,000 (investment amount may be reduced by 20% (€100,000) in case such an investment is made in low-density population areas). Those that purchase a property built over 30 years ago and (or) which is located in areas of urban renovation can invest €350,000. The Golden Visa effect is applicable not only to the investor but also to his/her family members (spouse, children and dependants). Five years after receiving a residence permit, they can apply for the Portuguese nationality. By July 2018, the Portuguese authorities had issued 6,416 Golden Visas. Over 90% of the programme participants chose precisely real estate as the investment vehicle. Portugal also offers an attractive tax regime, with the rates often being lower than in many other European countries. In addition, for tax residents (individuals spending over 183 days a year in the country) a so-called “exclusive tax regime” is in place that allows for a significant reduction of expenses that are incurred during business or other activities. The tax non-residents that are however residents of a country with which Portugal has a double taxation agreement benefit from having their incomes from dividends, royalty and capital gain taxes being levied at a reduced rate. Furthermore, they can be exempt from paying professional and employment income taxes in Portugal. To the foreign tax residents coming to reside permanently in Portugal that have not lived in the country before (have not had a residence permit for the past 5 years) an exclusive tax regime (Non-Habitual Residents, NHR) exists. This programme is designed to attract creative people, scientists, medical practitioners, IT professionals, high-net-worth individuals to Portugal. This regime is also applicable to the acquirers of Golden Visas. In the context of increased demand and limited supply, property rental rates are growing very fast. In Lisbon though, prices are lower than in other European capitals. “The average yield rate for long-term apartment rentals in Lisbon is 3 to 5% and even more with short-term rentals. At the same time, management company services are significantly cheaper in comparison to other countries (5–10 % of the rent against 20–25 %)”. Lisbon, with its warm winters and a long summer season, has always been deemed attractive by tourists. There, the sun shines 300 days a year and you can swim and sunbathe from March to October. In addition, Lisbon is one of the few European capitals that has its own beaches. They span 19 km across the city itself, while just a 20-30-minute drive away in Cascaisand Estorilseveral dozen more Blue Flag beaches can be found. The lively tourism influences both the residential and the commercial (hotel) property demand growth. According to a report by JLL, in 2017, revenue of the tourist market in Lisbon has increased by 16.6%, reaching the record of €3bn and the positive dynamics continue. For instance, in 2018 RevPAR (revenue per available room) grew by about 7% in Lisbon. This figure is expected to grow by 6.5% in 2019. In 2017, 12 new hotels were opened in Lisbon and further 25 are planned to be commissioned before the end of 2019, but the demand is still growing faster than the supply. 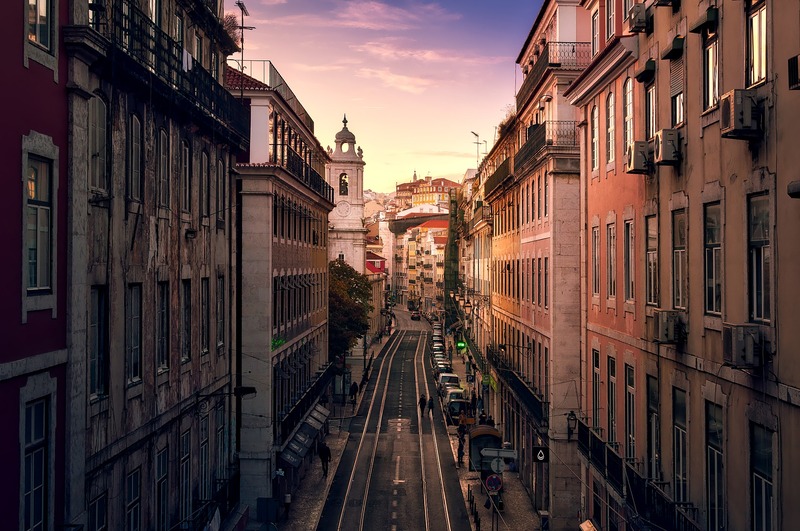 According to Artem Ezhkov, investment consultant at Tranio, “In 2018, our company’s clients who planned on buying commercial property in Lisbon showed the greatest interest in hotels. Three clients from the UK, for example, were convinced that the city was becoming increasingly attractive for tourists. Our partners also observe growth in the number of residential and commercial property requests in Lisbon as well as the client’s desire to invest precisely in the hotel business”. Who invests in Lisbon’s property? Traditionally, property in Lisbon was especially popular with the residents of France who considered this city as an excellent family holiday destination. However, now the demand has become more diversified. The high living standards in Lisbon, modern infrastructure and the climate attracts buyers from the Middle East and Scandinavia. Meanwhile, the Brazilian, Turkish and South African investors are coming over to Portugal to buy their dream homes. They choose villas and ancient palaces with sea views and golf courses. The demand among the UK investors is also on the uptrend. According to JLL statistics, 60% of all the property buyers are foreign nationals among which the French, Brazilian, Italian, the British, American and German citizens prevail (in decreasing order). Property is being bought both for own use and for a subsequent lease (half and half). Entrepreneurs who plan to carry on their activities in Lisbon form a separate category. Tranio real estate expert Yulia Dorokhina says: “Most of our clients look for property in good touristy neighbourhoods where the prices are affordable, having in mind a relatively low budget limit (up to €200,000-250,000). They most often plan to lease it on. Apartment buildings for renovation also generate interest. There are also individuals aiming to obtain the Golden Visas (€500,000). Can you offer advice on how to invest in property?